Places I might be hiding…. 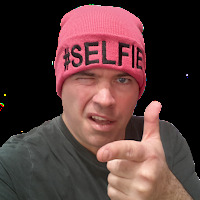 My name is Robert Angle, and this page is a gateway to the various places I am active on the internet, such as social networks as well as my family Vlog channel – BDRC.tv. I’ve been squatting on this domain since before social networking, back when people connected to each other via blogging, so included here are my theological ruminations, or mediations. I still add entries from time to time. sorry for my poor English. I liked very much your blog. I live in Greece. My blog also is in Greek language but you can translate it with with Google translation button on it. Can i put a link of your blog in mine on the left side? Get the CD from your mother or from the Kingdom Hall. Take it home and put it in your computer, and follow the simple on screen instructions.